Lately I’ve been talking to some friends and colleagues about what engagement looks like in the classroom. Sometimes it is easy to define, sometimes I work hard to come up with an all-encompassing definition, and sometimes it unfolds in front of me – as it did today. 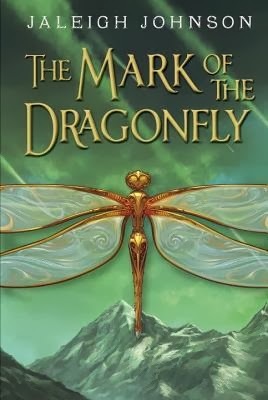 Our class read aloud is an ARC called Mark of the Dragonfly by Jaleigh Johnson. (Release date of 3/25/14) This is a book I loved the first time I read it, but reading it with my students brings it to a whole new level. My students beg me to read more each day. We have great conversations about the world that Piper lives in, the friendship she and Anna have, and how different their lives are then ours. This week we have had the chance to read even more than normal. 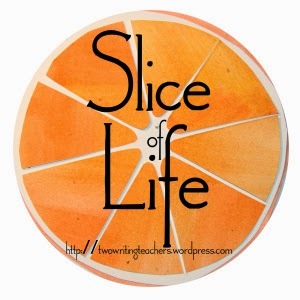 With state testing filling our mornings, our after schedules are completely out of whack. As a result, we’ve had some extra reading time. Today we raced to finish a chapter. I will be out of the building tomorrow and they had to know what would happen before I left. As I read, I noticed kids were moving closer to me, leaning in. Chairs pulled forward, groans could be heard as I paused; exclamations of the gravity of the situation Piper and her friends found themselves in. Ten minutes passed. Twenty. Thirty. I glanced up and realized that we had three minutes until we must line up for Art. I looked back at the book reading aloud while also scanning ahead to see if I could finish the chapter. I saw the last line of the chapter and smiled. We needed to reach that. They begged, they pleaded, and then they lined up. The entire way there, even though they were supposed to be quiet in the halls, I heard murmured conversations about what was going to happen next. I replied, “I know, but wasn’t it great?” The grin I got in return told me that he agreed. And that, my friends, is engagement. How exciting! I love to see kids that engaged in a book. Hopefully, they will realize they can do that themselves, too. Thanks for sharing a beautiful moment! So glad there is something that has benefitted your students during testing- more read aloud. It is the happiest time in my classroom. When it is time for read aloud they can't get there fast enough and they have a hard time leaving. Love being in your classroom. I have the arc, too, but now I guess I'd better get to it, Katherine. Read alouds like that are such a delight. I loved this book and so wish I was with a group of students to read it to! What a wonder for your students! Oh, I LOVE those read aloud moments! I love this line: "The entire way there, even though they were supposed to be quiet in the halls, I heard murmured conversations about what was going to happen next." I love it when that happens! Leaving them hanging is the best part of engagement! I have noticed that this book has been mentioned a lot lately. Another one to put on my growing list. That has to be one of the best feelings. Thank you for sharing. I had one of those moments when I closed "Capture the Flag" by Kate Messner today. The class collectively groaned... so I read right up to the bell to get a few more sentences in!